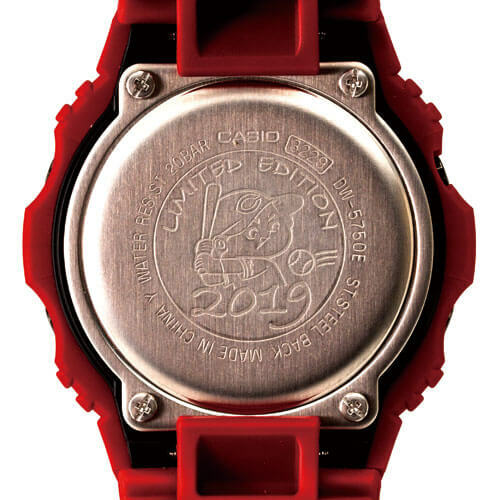 Professional baseball team the Hiroshima Carp is releasing another G-Shock collaboration for 2019, this time using the round DW-5750 as the base model. 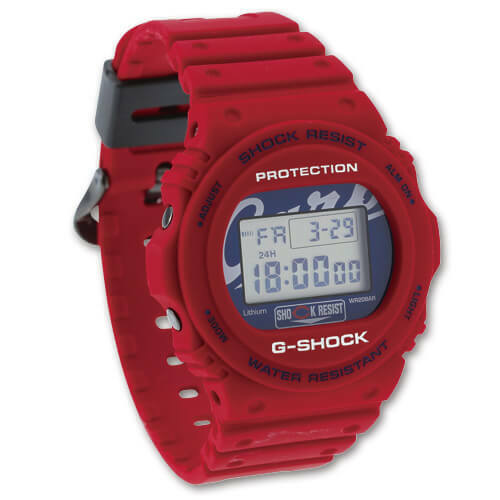 The watch has a matte red bezel and bands with black accents, a Carp logo on the face, the “C” cap insignia as part of the “Shock Resist” logo, and a custom engraved case back depicting the Carp Boy mascot. The EL backlight completes the Carp logo on the display when activated. 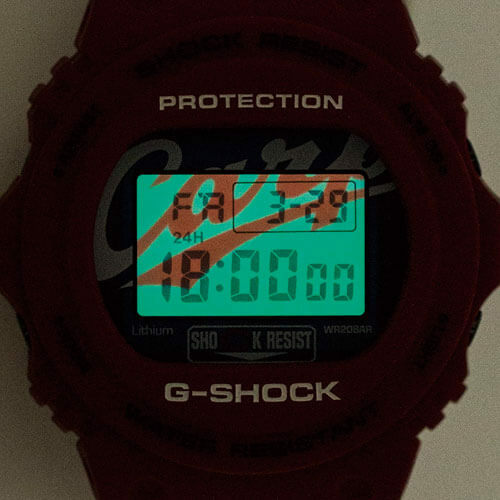 The watch is limited to 2,000 units and will be available for ¥14,000 JPY on 1 February 2019 at 10:00 a.m. at www.shop.carp.co.jp.